That was the most common response when I told people that I was visiting Rwanda with my 6-year-old daughter last February. However, having travelled to the country 12 years ago, I knew it was the perfect introduction to Africa for a child. It’s safe (I felt safer there than in parts of London), full of natural beauty, and the Rwandans themselves are warm, welcoming and industrious. Before I go further, let’s discuss the elephant in the room. When you mention Rwanda, most people think of the terrible events of 1994 or the film, Hotel Rwanda. Yes, it was a horrible time in their history. And it’s a history that Rwandans are not trying to sweep away; there are genocide museums and memorials throughout the country and, in my experience, Rwandans are more than willing to talk to you openly about what happened to them during the tragic events of 1994. But it’s now 24 years later and the whole country has made great strides in ensuring that nothing like that happens again. Dare I say that the genocide gave them a higher purpose and a desire to see their country become a shining star of Africa. Having visited the country at 12 years and 24 years after the genocide, I have personally seen the amazing transformation that has taken place in Rwanda. For one thing Kigali has hired a landscaper. It has been reborn as a clean, beautiful capital city, with palm trees lining the main avenues (and a hefty fine if you drive into one). Police stand on the intersections to make sure traffic moves safely along. Not quite “bobbies on the beat”, as they are armed, but you get the impression that their job is to help rather than intimidate. Motorcycle taxis zip along everywhere, carrying passengers in beautifully bright business attire on their way to work (I even got on one. Very thrilling). For those who don’t want the adrenaline rush of riding on the back of motorbikes, a thorough bus system covers the city and surrounding countryside. I mentioned Rwandans are industrious. Everyone is busy. People are doing things; going places; socialising; laughing; building a country to be proud of. I rarely saw a fat Rwandan – they’re all on the move all the time. As Rwandalicious, an Instagram account I follow, joked, “You never know what you’ll see people carrying on their heads” under a picture of a woman effortlessly balancing 14 large ceramic pots. 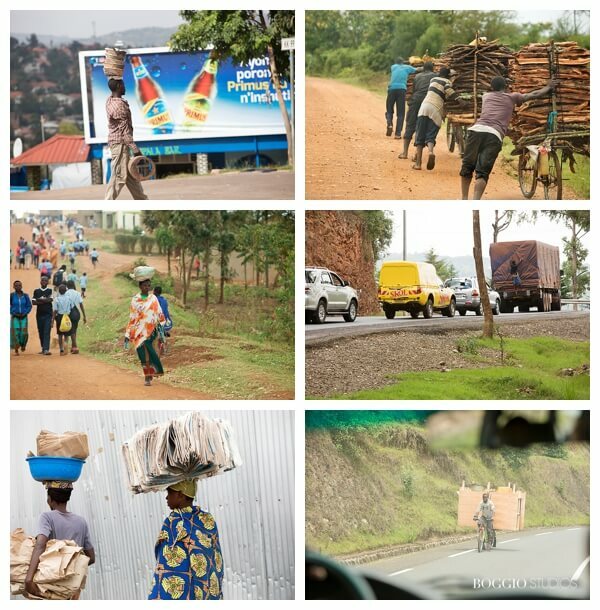 This became one of our favourite games in the car – spotting Rwandans carrying things in ingenious ways. We saw everything from small items like water jugs and stalks of bananas balanced on heads to large things like entire sections of a house on the back of a bike. Another big change in the past 12 years has been the quality of the roads. Journeys that used to take hours and hours now take a fraction of the time as the infrastructure has steadily improved. This was most noticeable to me on our way to the Akagera National Park, where I took my daughter on her first game drive. The new roads aren’t just plonked down; they have been carefully planned and landscaped. One of my favourite experiences on this trip was stopping off at the Nyirangarama rest stop on the way to the west of Rwanda. It was sort of like a service station, except there were no McDonalds or Starbucks. This place was famous for its goat kebabs and spicy potatoes. I wanted my daughter to try the kebabs, but if I told her it was goat, there was no way she would take a nibble. So I told her it was beef. Predictably, she loved it and ate down two goat kebabs. I did tell her afterwards what it was and she took it in her stride. In fact, she made us stop there again when we passed it going back to Kigali. Another great moment happened when we were staying at my uncle- and aunt-in-law’s farm in Kayonza. We decided to take a walk around the village and, before long, we had accumulated a trail of children. My daughter brought her Polaroid camera on the trip, not just so she could take pictures for herself, but also so that she could give Polaroids away to any new friends she made. It was great watching her show the children how the images came through on the film. Magic! If you are looking for a “poor Africa” experience, then Rwanda is not for you. There are no starving children here – Rwanda produces enough food to feed its populace. Also, education is compulsory and covered for a family’s first three children by the government (the family must mandatorily pay the cost of education for any more children). The same goes for medical coverage. 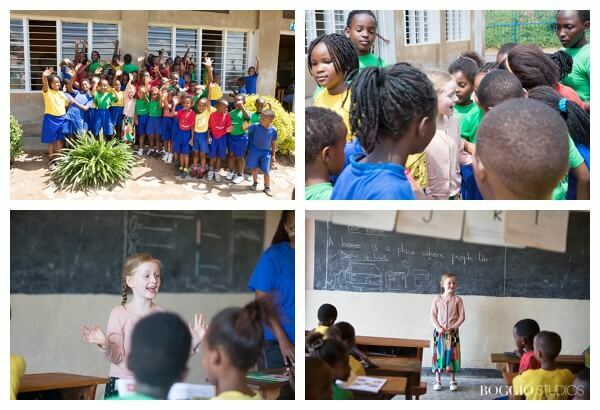 If you are looking for a positive first experience of Africa for your children, to show them what’s possible and how amazing Africa is, then Rwanda is the perfect place for your next family holiday. On this trip, my daughter experienced a new culture, met many new people (she was counting her new friends – I think she got to 240), tasted new foods, saw animals in their natural habitats, and viewed majestic landscapes. Not bad for a half-term week in February. 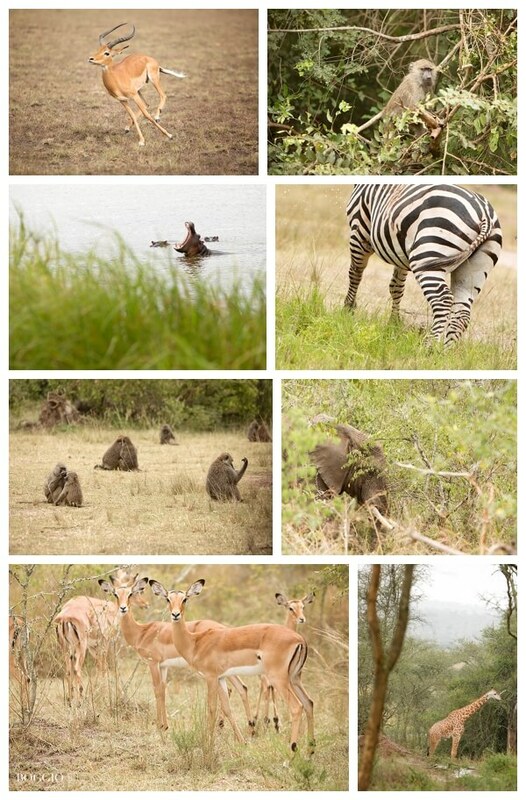 Sitting along the eastern side of the country is the Akagera National Park, a lush oasis for all types of wild animals. When I first visited in 2006, it lacked wildlife to see. An impala here, a buck there. During the years around the genocide, the park fell into disrepair and many of the animals were killed, especially the lions who liked to munch on cattle. Since then, the management of the park has been taken over by a South African company that has stocked it full of every type of animal you might like to see in a quality African game park. We didn’t see the lions this time around (even though my daughter insists that she did), but we pretty much saw everything else you can see. 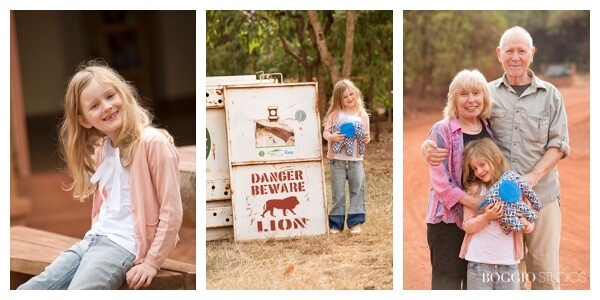 It was wonderful to watch how excited my daughter got searching for animals in the bush. There is also a roving tented camp that moves depending on the season, called the Karenge Bush Camp. Less plush than the above, but a more authentic camping experience. The Riviera of Rwanda, Lake Kivu sits near the border with the DRC on the west side of the country. It’s a great place to go for a day or two of relaxation and swimming, especially if you’ve been to see the gorillas nearby. 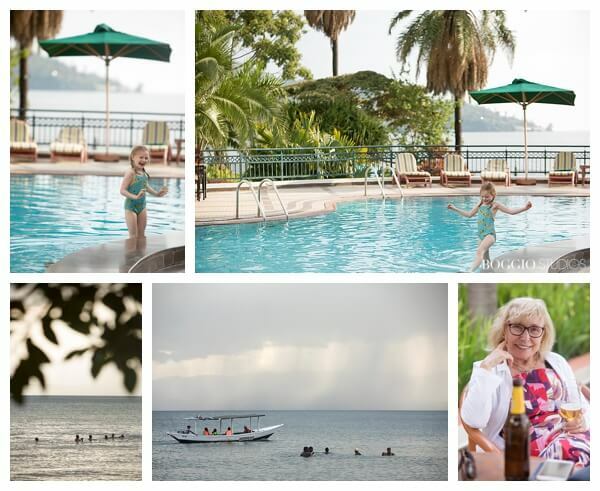 My daughter enjoyed splashing around in the swimming pool while the rest of us partook in fresh Rwanda cocktails and beers, watching the locals play volleyball on the beach and swim in the lake. The main avenue is also well known for its fruit bat population, which are easily spotted swooping around the skies at dusk. 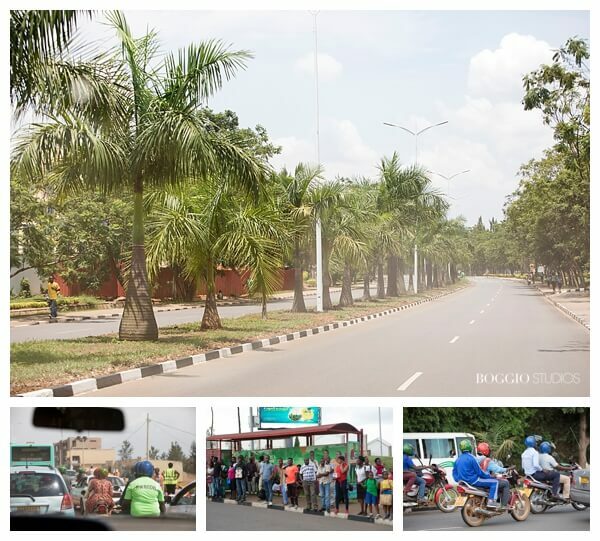 As you leave the area, make sure to ask your driver to take you near the border with Congo where a colourful and bustling market exists, in contrast to the serenity of the lake. Where to stay: The luxury option is the Lake Kivu Serena Hotel, but we opted to stay at the hostel Discover Rwanda Gisenyi Beach (www.facebook.com/DiscoverRwandaYouthHostel). which creates training and career opportunities for genocide survivors. The hostel is housed in the old colonial governor’s mansion with lots of character (if those walls could talk!). For a small fee you can use the swimming pool at the Serena and enjoy their beverage list. If you do stay here, please put some board games in your bag to give to them (if you have the space). That was a request from the manager when we were there. As we approached this village in the northern province, a ululating cry greeted us. The origin of the cry was a small man with few teeth, dressed in bright clothes and waving a spear. Next to him stood another man in traditional warrior dress, with straw headpiece and skirt, flapping his hand against his mouth to create another cry. Both these men used to be gorilla poachers, but now they and many others like them are employed at the cultural village to give tourists a taste of Rwandan history and culture. Our guide, Patrick, showed us from hut to hut, each one unveiling another part of the country’s cultural make up. One showed us how to shoot the type of bow and arrow that hunters would use; another showed us how to make banana beer; some ladies demonstrated the art of basket weaving. The coup de grace was when my mother-in-law and her husband were made to play the roles of the King and the King’s Mother in front of a royal hut. 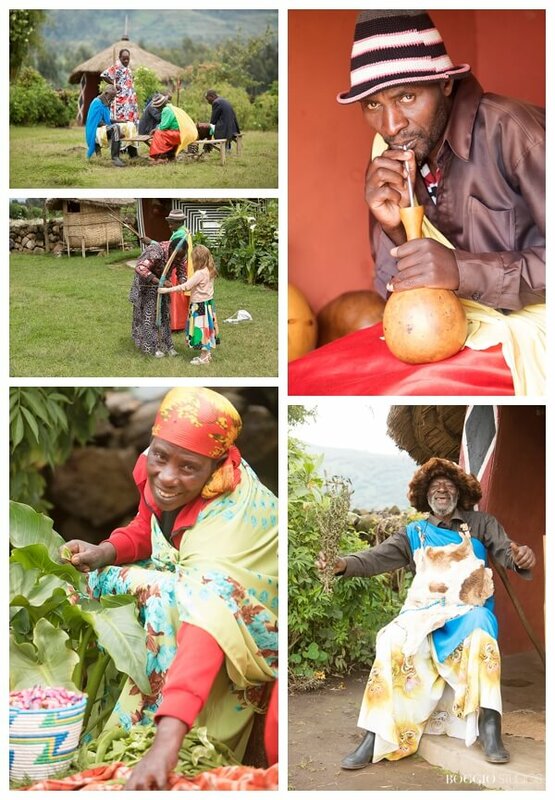 Another couple got to play out a traditional Rwandan marriage ceremony, followed by an Intore dance show. It was really good fun and very educational – as well as being a great cause, which is to give former poachers and their families an alternative income. Where to stay: This is actually in gorilla country, so there is no dearth of places to sleep. I’ll cover that below. Of course, the gorillas are the biggest draw in Rwanda. We didn’t go to see them on this trip due to age restrictions, but I saw them last time I was there. I’ll tell you this: it’s worth the $1500 per person for the experience (even though it was $450 when I went 12 years ago). Tracking the gorillas is one of those adventures that will stay with you for your whole life. When I did it, we tracked the Susa family, which is the same group studied by Diane Fossey. I remember I brought a silver tripod with me. One of the silverbacks took umbrage at it and charged at us, only to change his mind, lie down and gently pass gas in our direction instead. There was also a young energetic male climbing a tree (I had a great photograph of him, but I’ve lost most of my pictures from that trip!!!). I am told he is now the leader of the group. There are four families of gorillas that are allowed visits. Each family is exposed to a group of 8 tourists for one hour once per day; this is to minimise the effect of tourism on the gorillas. The fun is in trying to find them. My trek took 4 hours up and down hills whereas other tourist groups on the day took less than an hour. I feel I got my money’s worth. Remember to book your gorilla permits well in advance as they sell out. You will most likely not be able to get one if you just rock up. Where to stay: If you are looking for African luxury, then, boy, will you find it in Ruhengeri. The Bisate Eco Lodge looks like the place to be, with its hive-like rooms hanging off the side of the mountain. If your budget won’t stretch, then I’ve been recommended the Gorilla Mountain Lodge or Silverback Lodge (www.governorscamp.com and go to Camps & Lodges). Kigali has plenty to offer the inquisitive traveller as well. There is a bustling market called Kimironko where we loaded up on Rwanda crafts and tchotchkes as gifts for my daughter’s school class in London. We wandered around the vegetable area of the market as well, just to take in the scents and scenes. If you want anything sewn up for you while you are there, you can find fabrics and tailors here. 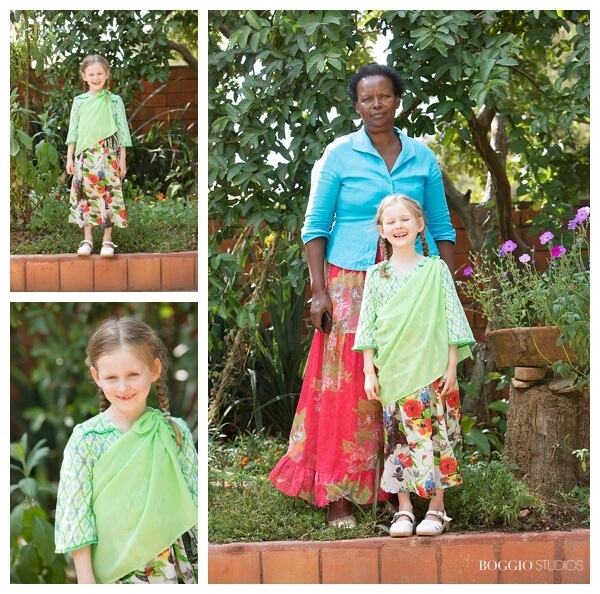 We had a traditional Rwandan dress made up for my daughter, which she loves to wear (worn below over a Wild & Gorgeous short suit). For activities for children, there is the Mamba Club, Fazenda Sengha, and Bambino Supercity. My daughter says her favourite experience was going to a school in Kigali, where she was able to play with the kids and even take part in their English class. If you do want to visit a school, make sure to arrange it beforehand and bring presents of pens or books. Depending on your mood, the Genocide Memorial in Kigali is an instructive and emotional trip, obviously not for young children, but would be educational for a teen. Kigali is going through a hotel explosion, so there is no shortage of places to rest your head in luxury. For those that want to stay at the real Hotel Rwanda, then the Hotel des Milles Collines is the place to be. I didn’t stay there as I was with family in Kigali, but we did pop in for drinks by the pool. You can also swim in the pool for a small fee. Other recommendations include the Marriott Hotel, Serena Hotel and the Radisson Blu, or if you want something more boutique, then try the Heaven Boutique Hotel, Urban City Blue in Kiyovu, and the Inside Afrika Boutique Hotel. There are many other things to do in Rwanda, from climbing volcanoes to seeing the golden monkeys and chimpanzees (minimum age 12). Please do buy the latest travel guides and read up on the Internet. It is a country full of experiences waiting for you and your family. If you are a cyclist, bring your bike. 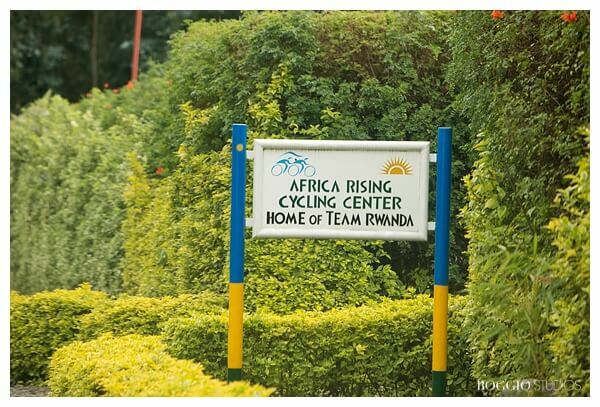 In fact, visit the Rwandan cycling team near Kinigi. 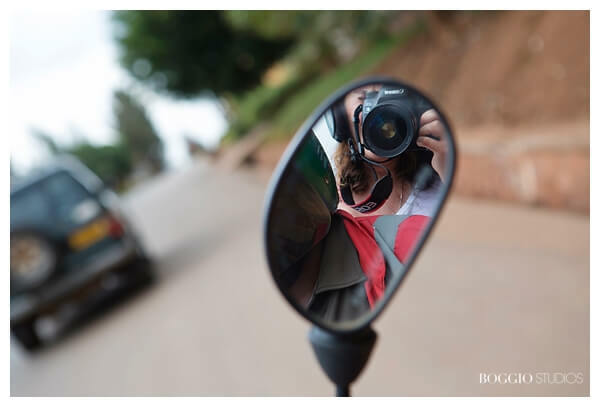 Rwanda is best seen by car and it’s easy and affordable to hire a driver for the entirety of your stay in the country. Both in 2006 and in 2018, I was lucky to use the same driver, a fantastic man by the name of Emmanuel Runiga. His knowledge of the country and his English has grown exponentially since the last time I saw him. Back in 2006, my friend Sarah and I were the first ones to take him to see the gorillas (back when Rwandans got special prices – not anymore!). Now he’s seen the gorillas so many times that they probably know his scent. Like me, Emmanuel is married with two children. 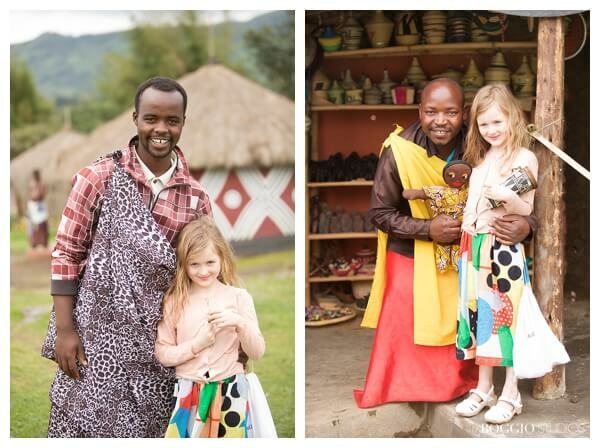 A doting father, he named his company Pumba Tours because his daughter’s favourite film is The Lion King. He’s even driven a few Hollywood stars (I won’t say exactly who, but one of them recently played Batman). You can reach Emmanuel by email at runiga2000@gmail.com or runiga2000@yahoo.fr. I find What’s App is the best way to communicate at +250788466497. He’ll be happy to recommend an itinerary and help with any arrangements you need to make. I cannot recommend him highly enough. Five stars! Unless you like spending time at Addis Adaba airport at strange hours of the night, then just fly RwandAir, especially if you are visiting Rwanda with children. The movies on the in-flight entertainment aren’t that recent, but it’s a small price to pay for a semi-direct flight (it stops in Brussels). When flying out of Kigali, make sure to leave plenty of time to get through security at the airport. There’s a lot of it, including dogs that sniff your luggage before you even enter the airport. We almost missed our flight, but I played the “I have a young child” card and pretty much skipped every queue. 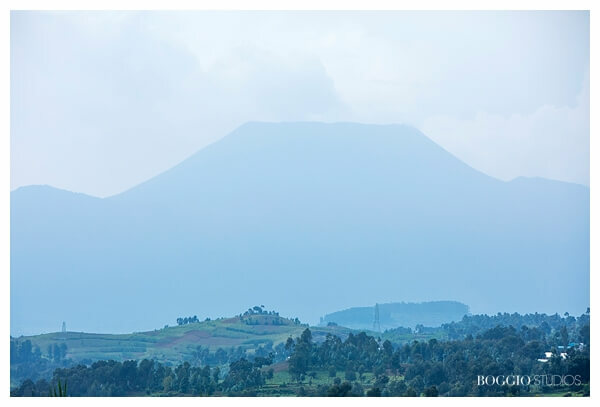 Rwanda will not disappoint; in fact, you’ll fall in love, just like I have, and want to return again and again. I cannot emphasise to you enough what an amazing experience we had. I look forward to returning with my whole family one day. And Rwanda is serious about being a great destination for tourists – just look at the sleeve of the Arsenal football jersey: it’s sponsored by Visit Rwanda. While I was there, I loved hearing the stories of how Rwandans are pulling together to create a bright future – I especially enjoyed the story of the “Solar Grannies”, a group of grandmas from a remote village who went to India to learn how to install solar panels in their village. Or the stories of the community meetings – once a month every community puts a day aside where everyone passes the morning cleaning the village and then they spend the rest of the day in a meeting where they do small claims and disseminate information – like the fact that plastic shopping bags are banned in Rwanda (and have been for years). Or the stories about how they put prisoners to work – if you need men to help you build your house or whatever odd job you have, you can go hire inmates from the local prison. There is so much that Rwanda is doing that is great. Just go and experience it for yourselves. 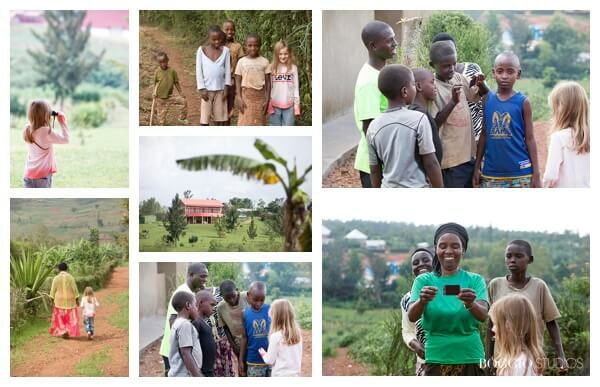 You will not regret visiting Rwanda with children in tow!